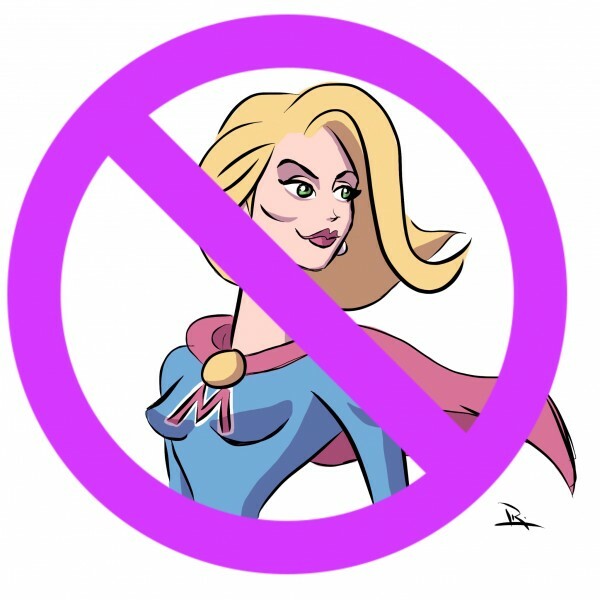 Please Stop Calling Me Supermom! We all see the term Supermom everywhere these days. There are twitter handles named Supermom, the hashtag #supermom, blogs and You tube channels titled it, and there's been a bajillion and one posts written on the subject. Yes we all want to be everything for everyone at one point in our lives, and then reality sets in. It's impossible to be supermom because she doesn't exist. Yes I said it, and I'll say it again. Supermom does not exist...nor does she have to. Where did the unrealistic expectations come from? The Pinterest perfect parties (yes I'm guilty... multiple times), the balance of work and home life, the great mom clothes, and the ability to juggle bake sales at school and date nights with the husband. Why do we all compare ourselves to others? And don't act like you don't do it...because we all do. I personally have never strived to be a supermom - but am called it frequently and often wonder why. PR people write it to me in their emails, friends comment #Supermom on my Instagram pictures when I bake something yummy, and people introduce me as Supermom as well. I know they are just trying to be nice, and I'm not quite sure why it bothers me so much...but it does. Partly because in my opinion there is no such thing as a perfect mom...or a Supermom. She might look it on the outside with her immaculate SUV and perfectly coiffed hair and nails, but on the inside we all have our struggles. We all appear like we have it together in our witty and sarcastic Facebook posts but let's be real...motherhood is anything but easy. We all sometimes forget to count to ten before we yell at our kids for not sharing...again. We all sometimes forget to shower and wear our workout clothes from morning until night. We all forget to bring in snack on our designated day at preschool, and are sometimes the one mom that doesn't RSVP to that birthday party that's tomorrow. We all wonder things like, "Should I go back to work?" or "Should I just stay home and give them the attention they seem to be craving?" We all wake up at 6:00 AM on a Saturday and groan..."Why? Why can't I sleep just one more hour?" Let's face it, being a mother in itself is a job, and then adding work, school, after school activities, and trying to make time for our spouses can sometimes make the tower crumble. It isn't about being a Supermom though...it's about surviving, thriving, and most importantly being happy. It's also about learning to not be so hard on ourselves, and lessening the expectations in our lives. Because it's not a race...and we're not in a competition. We all think this to be true... but now it's time to start believing it. 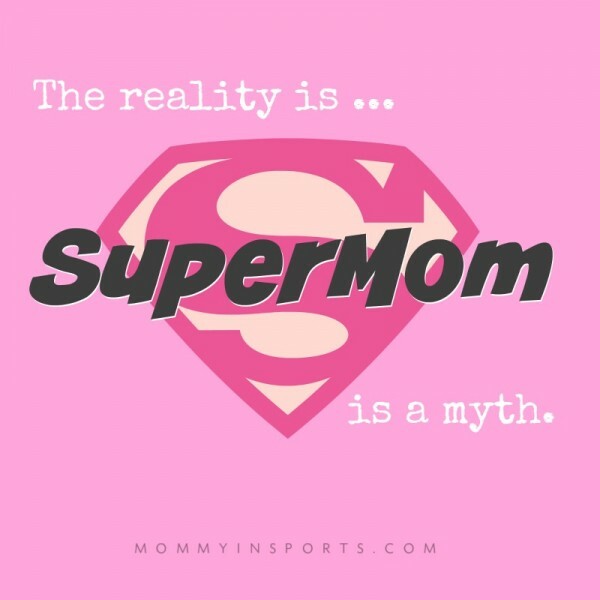 While society and social media may make us all feel like we have to do everything, the reality is Supermom is a myth. She was created by us and can be destroyed by us with our most powerful tool...our minds. So when you see my silly new frosting creation, it's not because I'm trying to out-do you on Instagram, I'm simply a baking nerd who has fun experimenting and creating. When you see another article I've written or new project I'm launching, it's not because I want to be a star, it's because I'm driven and easily bored. And when you hear that I've forgotten to send in those school forms again, or was the mom that flaked on the field trip, it's not because my children aren't important, it's because life sometimes gets overwhelming. I understand that some people use the label Supermom as a compliment, and I am truly appreciative of your praise. But I can't handle the pressure that the term Supermom implies...and just simply preferred to be called mom. A perfectly imperfect woman who is trying to figure out what she wants to be when she grows up, and in the process not screw up her kids. That's not a supermom...that's just plain mom. And I'm lucky to be her. This post originally ran on mommy in SPORTS - you can connect with her on Facebook! Kristen Hewitt is a two-time Emmy-Award winning Television Reporter for Fox Sports and also writes a lifestyle and parenting blog kristenhewitt.me, which focuses on working moms, inspiration, healthy living, travel, and cupcakes. Because she's never met a cupcake she wouldn't eat! Her favorite job though is raising her two miracle IVF girls.